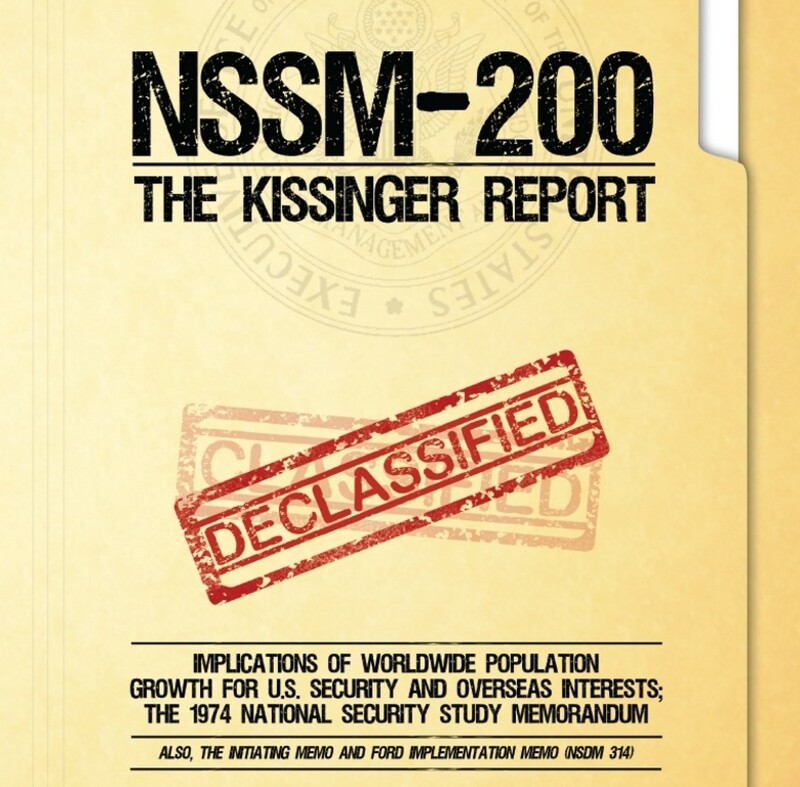 National Security Study Memorandum 200, otherwise known as NSSM 200 or NSSM-200, was a document generated by President Richard Nixon’s national security office, at his instruction, in 1974. NSSM 200 was the U.S. Government’s formal response to the feverish effort in the private sector, especially in the latter part of the 1960s, to depopulate the earth or else we would all die. Most of these advocates for population control are forgotten, but one that is still known today is Paul Ehrlich. His 1969 book, The Population Bomb, popularized a viewpoint that already had wide currency among the sophisticates and elites across the world. Political pressure was piled high and population ‘experts’ clamored to have their expertise acknowledged and implemented. Finally, in 1969, Richard Nixon gave a speech which called for a national population policy. Federal funding for domestic population control began in earnest with the 1970 passage of Title X, which began funneling millions and millions of dollars into ‘family planning’ (a euphemism for ‘population control’) and established the Office of Population Affairs. This office still exists. In 1972, Nixon called for a report to be given to him by what would become called the Rockefeller Commission Report. This commission consisted mostly of private sector individuals and organizations, and included men like Bernard Bereleson (president of the Population Council) and Frederick Jaffe Memo (Vice-president of population for Planned Parenthood). The commission’s report was submitted to the President in 1972, but to the chagrin of the elites, he did not act on it–at least, not publicly, and not domestically. Though his response to the Rockefeller Report was muted, Nixon directed his National Security Adviser, Henry Kissinger, to analyze the ‘over-population problem’ as it applied to other countries, in particular “developing countries,” and contemplate the anticipated impact of over-population in those countries on the security of the United States. On April 24, 1974, Kissinger issued a directive to a variety of Federal agencies to study the matter and make recommendations. The final report, given to the president in December of 1974, specifically acknowledged that the ‘problem’ was global (and therefore included the United States), but singled out fourteen countries for more immediate depopulation efforts. What had been largely a private sector crusade now became a taxpayer supported endeavor. However, by this time, Richard Nixon was up to his eyeballs in the Watergate scandal. He would soon leave the office of the president and be replaced by Gerald Ford… who promptly endorsed the report’s conclusions, with just a few caveats and concerns expressed about the report’s proposed methods (NSDM 314). Most people, after reading the final report for themselves, are horrified to learn what the elites were prepared to do, and in fact, may still be doing, to their fellow man. At the time of this writing, there is no documentary evidence publicly available that suggests that the policies Gerald Ford directed the U.S. to implement vis a vis NSSM-200 have ceased to be the official position of the United States of America. If anyone has such evidence, this site would be pleased to reflect it.